The case has been adjourned until 17 January. 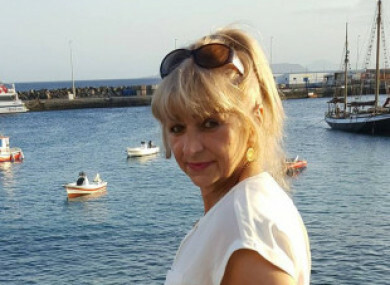 A 32-YEAR-OLD man has appeared in court charged with the murder of his mother Elzbieta (Elizabeth) Piotrowska (57) whose body was found in her home in Ardee, county Louth on Tuesday morning. Tomasz Krzysztof Piotrowski with an address at Cherrybrook, Ardee is charged with the murder at Clonmore, Ardee on Tuesday 8 January 2019. The Drogheda District Court heard this morning that he was arrested at Drogheda Garda Station and charged with the offence at 9.21pm on last night by Garda Sergeant James McCumiskey. Sergeant McCumiskey said that in reply to the charge and after caution the accused said “no comment”. He said his application was that the accused be remanded in custody to appear at Cloverhill District Court next Thursday 17 January. Solicitor for the accused Paddy Goodwin said the next appearance could be dealt with by video link. Goodwin also said he had concerns about his client’s mental health and asked that he receive appropriate medical attention. He also asked that legal aid be granted as the accused is not working. Judge John Cheatle said he would do both and he remanded the accused in custody and the case was adjourned to 17 January. Email “Man (32) appears in court charged with the murder of his mother Elzbieta Piotrowska ”. Feedback on “Man (32) appears in court charged with the murder of his mother Elzbieta Piotrowska ”.